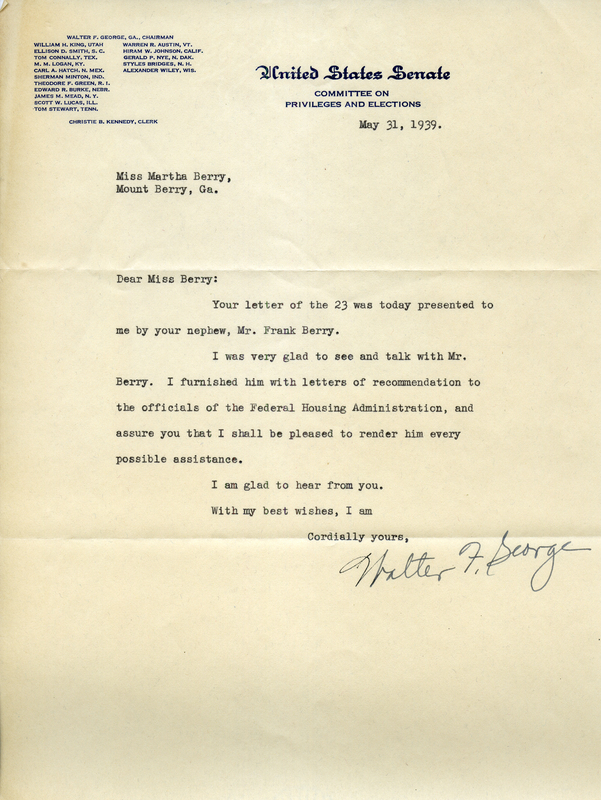 Mr. George informs Miss Berry that he has met with her nephew, Frank Berry, and has furnished him with the necessary letters of recommendation to make him an assistant. Mr. Walter F. George, “Letter from Walter F. George to Martha Berry.” Martha Berry Digital Archive. Eds. Schlitz, Stephanie A., Jessica Hornbuckle, et al. Mount Berry: Berry College, 2016. accessed April 24, 2019, https://mbda.berry.edu/items/show/14934.